With Christmas just around the corner I’m guessing many of you are wanting to get the house in order before the festivities begin. While December is often a busy time, it’s not too late to get some order in your home with a bit of decluttering. 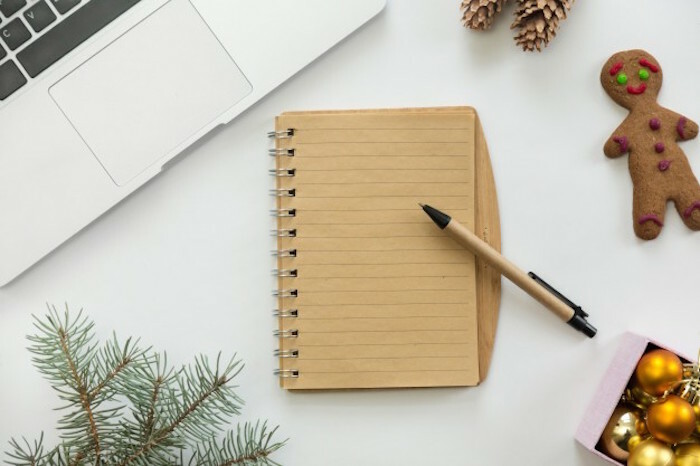 I’m busy making plans for a full Clean & Declutter Your Home Challenge in eCourse format in the New Year but for now, I’ve put together a free mini decluttering challenge for December (or anytime really). The tasks are designed to be quick and easy to complete and are intended to get a quick kick start on decluttering and get your home into a good place for Christmas. What’s Involved & How Long Will It Take? The challenge is made up of 20 days of tasks that are designed to be completed in 15 minutes a day. Some days will require more time than this for some people so in these cases I’d recommend spending the 15 minutes (or as long as you can spare) but then moving on the next day to the new task. It’s easy to become bogged down in a single task that seems overwhelming and never move beyond it. While you may not get things perfect on the day, move on to a new task in a new area the next day. You can always repeat the challenge again to finish off areas you missed. If you miss a day, just skip it (with the exception of the first 4 days, everyone needs to do these!) Don’t get too focused on the details. Don’t overthink it, just get moving. Set a timer for 15-20 minutes and work as fast as you can for that brief period. Whatever you get done is great, anything you don’t finish you leave. But I’m A Perfectionist & I Want It Done RIGHT! Ok, I hear you. I understand the desire to finish things perfectly and in their entirety. But the reality is that done imperfectly is better than not done at all when it comes to decluttering. Every little bit counts, so while you may want to continue focusing on an area you haven’t finished I really do encourage you to move on the next day and not get stuck and lose momentum. Ok, What Do You Mean By “Done Is Better Than Perfect”? Often, when we aim for perfect we never finish. Don’t bite off more than you can chew! This challenge is designed to be a series of MINI tasks. We won’t be reorganising and decluttering your whole home in 25 x 15 minute sessions. For example, when you get to day 8 where we are donating excess clothes, if your wardrobe is total chaos, don’t pull everything out with the grand plan of sorting through and reorganising it all. You obviously won’t finish that in 15 minutes and chances are you’ll become overwhelmed and either give up or lose motivation to complete the next days’ task. Just follow the guide and find 10 pieces you no longer wear or need. Take them out, send them to charity and move on to the next days’ task. While the wardrobe will obviously still be disorganised and not perfect, you have cleared 10 pieces and you can come back to it when you have more time. Done is better than perfect! Easy! Fill in your details below and you’ll find the download link in your email (you may have to click confirm first). Check your junk/spam folder if it isn’t in your inbox 🙂 Also, if you’re not already in the Facebook Group join now!